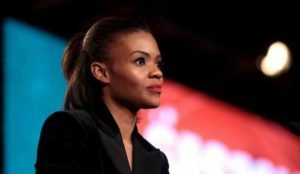 7th Rangers: This Just In: Left Discovers Candace Owens Is A Nazi! I actually don’t have any problems at all with the word ‘nationalism.’ I think that it gets, the definition gets poisoned by elitists that actually want globalism. Globalism is what I don’t want. So when you think about, whenever we say ‘nationalism,’ the first thing people think about, at least in America, is Hitler. You know, he was a national socialist, but if Hitler just wanted to make Germany great and have things run well, okay fine. The problem is that he wanted, he had dreams outside of Germany. He wanted to globalize. He wanted everybody to be German. Everybody to be speaking German. Everybody to look a different way. To me, that’s not nationalism. In thinking about how we could go bad down the line, I don’t really have an issue with nationalism. I really don’t. I think that it’s okay.